History never fails to impress us, when we are clueless about certain significant elements we cherish now. Thanks to Historian Nivedita Louis. Chennaiites embarked and enjoyed the journey of Women from Madras, who stamped their name in the history. Have you met the influential women of Madras? Most of us have no idea about the women of Madras and their contribution to the society. Before a century, they fought hard and long against the societal norms, for a life of our choice! It was them, who broke the traditional barriers posed by women. They broke the walls of the opinionated society; indulged in activities they were passionate of. They were able to single, do gardening, make films, do research, develop progressive laws, run magazines, and many more. They remain a benchmark for enriching their lives and empowering others. The Historian Nivedita Louis articulated the gripping chronicles of ‘Wonder Women of Madras’. The Arkay auditorium was frozen for a few minutes, stunning the audience. Let’s meet the Wonder Women of Madras! Louis said it wasn’t easy to pick the names. At the age of 8 years, a girl demanded a set of Encyclopedia Britannica. And, the girl refused the pair of diamond earrings as her wedding gifts. She was Anna Modayil Mani, born in the year 1918, in Peermede. Greatly motivated by Mahatma Gandhi, she met him during Vaikom agitation. She was only 13 years old. Soon after meeting him, she switched to Khadi. Mani joined Physics in the Presidency College and completed her graduation. Later, at IISc, she joined with Sir CV Raman. She also enrolled on Ph.D. and completed a thesis on Luminescence. 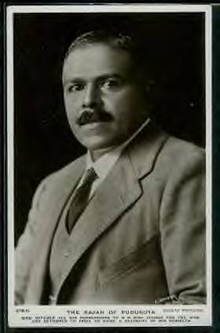 Mani joined IMD Pune, in the year 1948. She fashioned many devices to suit the Indian climate conditions. To name a few, rain gauge, barometer, anemometer, etc. She also became the head of the Instrumentation Department, taught construction, design, maintenance, etc. The Indian Ocean Experiments appointed her as the Deputy Director General in the year 1969. She explored in various areas and worked in wind energy, pyrgeometer, solar radiation management, developed the safe landing equipment for the airports. Besides, she also authored two books! It wasn’t for any Indian women in the past century to refuse marriage and pursue education. It was even a dark scenario for women hailed in an orthodox family. EK Janaki Ammal, born in the year 1897, broke the scenario. She refused her marriage to a cousin. All her focus were on education. She earned the doctorate in Botany, not in India. She left for Michigan and became the first Indian Women to earn a doctorate in the US. Janaki Ammal pursued cytogenetics, cross-bred a variety of brinjal with three different pairs of chromosomes. She met the researcher CD Darlington during her stay at John Innes Institute, London. They were in a relationship. She addressed herself, “I am a born wanderer” in a letter to him. Indeed she is. During the 1930s, she was back to India and stayed at Coimbatore to pursue her research in cross-breeding various plant species. She was very successful. She successes in cross-breeding Paupan and Indian species of sugarcane to Co-cane. However, gender bias and caste issues stopped her! 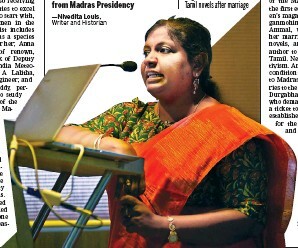 She informed to Darlington that the head of the institute, TS Venkatraman prohibited her from publishing. 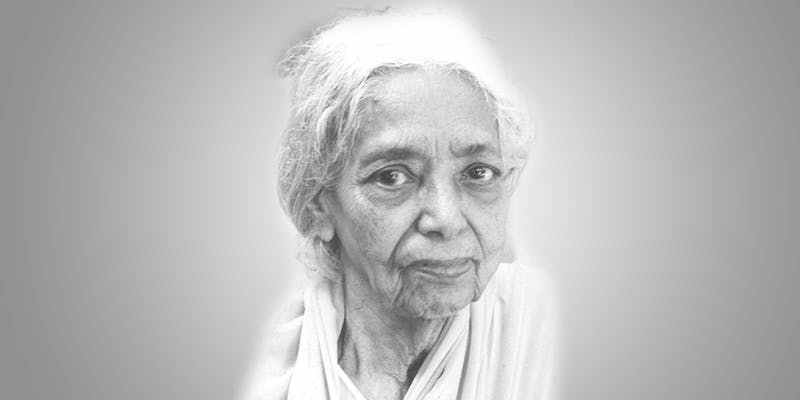 Feeling disheartened and disgusted, Janaki Ammal moved back to England in 1940. She lived with Darlington and survived on war rations. She co-authored with Darlington – Chromosome Atlas of Cultivated Plants. She also developed a new species named Kobus Janaki Ammal, which is seen in Wisley Park. She stands tall and graceful with many accolades, as a First Indian Woman. 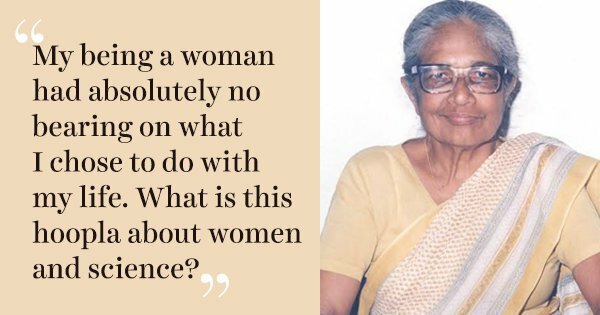 She was the first woman to become the head of an Indian Science Organization. She became the Director General of Botanical Survey of India, during 1952. She headed a protest against setting up Kunthipuzha station. She also worked at the Trombay Atomic Station. 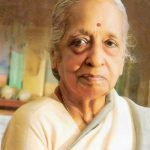 She served as Professor Emeritus at Maduravoyal, Madras University Field Station. She passed away in the year 1984. Before her death, she created a herbarium housing around 25,000 plants, at Jammu. It is literally hard to beat the achievements of the first woman doctor in India. Yes, she is the pride of Indian women, Dr. Muthu Lakshmi Reddy. She was born on 30th July 1886, in Pudukkottai district of Tamilnadu. She depicted her academic brilliance at a tender age. Her passion and quest to pursue education, she decided to join undergraduate course. She applied for a course in Maharaja College, Pudukkottai. The Principal of the college was shocked and stunned. He informed that they don’t enroll women in their college. She got a helping hand. Martanda Bhairav Thondaman, the Raja of Pudukkotai during the period got the admission. And, she became the first woman in the Pudukkottai to pursue a college degree, that too in a men’s college. She was imposed a few regulations to adhere. She had to reach college as a first person, sit in curtained areas, and leave the premise as the last person. Nothing prohibited her from earning the degree. In the year 1912, she became an icon, a role model, and became the first woman doctor. She’s also the first woman house surgeon, who joined Madras Government Maternity Hospital. She was the co-founder of the Women’s Indian Association, established in the year 1918. She became the first woman member, and subsequently the first women vice-president of the Madras Legislative Council. She was the strong foundation behind who helped in increasing the minimum age of a girl’s marriage. She put strenuous efforts and pushed the Council to pass the regulation, under Immoral Traffic Control Act. She also helped in passing the devadasi system abolishment bill. In order to extend her support to Salt Satyagraha, she resigned from the Council. When three devadasi girls reached her for help, she established Avvai Home in the year 1930. It sheltered and educated the girls. 1.Compulsory health check-up in government schools for girls. 2.Woman wing police force counseling and canvassing. 3.Set-up and supported offering grants to the Women’s Institutes. 4.Free education for girls till class 8. The first ever Cancer Institute in South India was opened by Dr. Muthu Lakshmi in the year 1954. 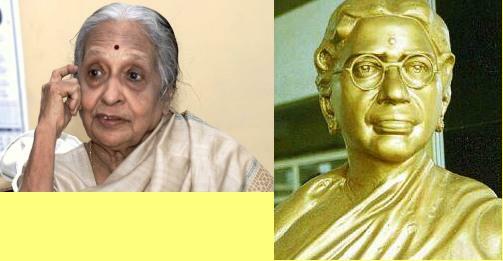 Dr. Muthu Lakshmi was honored with a Padma Bhushan in the year 1956. At 81 years, she passed away in the year 1968.